Some teams and players decide to do it because of pressure. Others decide to do it because of money. Nonetheless cheating should not be in sport. Last year the Australian cricket team was touring South Africa when in the third Test it appeared as though batsman Cameron Bancroft attempted to change the condition of the ball. He used tape found inside his kit and rubbed it against the pitch so that granules would stick to it to allow the ball to be roughed up. The team was heavily criticised for the all-time-low saga because something of such magnitude had never before been seen in the cricketing world. It went against the moral rules of the game Australia’s understanding of itself in the sporting world, where we believe ourselves to have a reputation for fairness. This was a stain on the sport and on Cricket Australia, and fans and media pressed hard for action to be taken. Many called for the axing of the leadership group, comprising captain Steve Smith, vice-captain David Warner and coach Darren Lehmann. Many questioned the integrity and moral principles of the team and of Cricket Australia as a whole. The media continued to press for punishment, which led to the 12-month suspensions given to Smith and Warner and the nine-months suspension for Bancroft. Once the suspensions were handed down, much of the Australian public were astounded by the punishment as much as they were the severity of the incident. Eventually Lehman stood down and Cricket Australia CEO James Sutherland annoucend his retirement from the organisation. What influence did the media have on the opinions of the public? The media is the most powerful entity in world spor, and they have the power to influence public opinion. Once the events of the ball-tampering scandal had taken place, the media were the first to report on it. They were quick to slam the Australian team, especially Steve Smith, and portrayed the players as monsters. Some media elements sensationalised their stories to make it seem as though one mistake was the be-all and end-all. Daily articles fuelled the outrage the Australian public had for their beloved Australian cricket team. Words like ‘shameful’ and ‘cheat’ dominated headlines as the scandal became a worldwide sensation. As Steve Smith was leaving the airport in Cape Town he was harassed by a journalist looking to extract a few words from him, and when Smith told him to move away he continued his pursuit. This was not uncommon behaviour players had to deal with during the scandal. 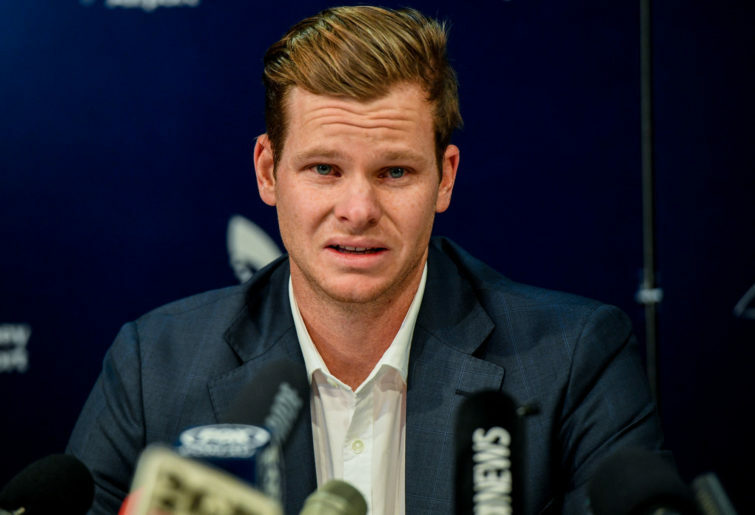 Smith later confronted the media when he arrived in Australia in a very emotional interview in which he answered some very hard questions. By the end of the ordeal he was in tears. The toll on the players would have taken months to recover from. However, this could have all been different had the media taken a positive approach to the scandal. Yes, it was a mistake, but we all make mistakes. At least our players owned up to it, which is the most important part. If the media had acknowledged that tampering with the ball was a mistake and not the be-all and end-all of cricket and life, the outcome of this incident for everyone involved could have been dramatically different.